This lovely A shaped dress is crafted from the softest jersey fabric. 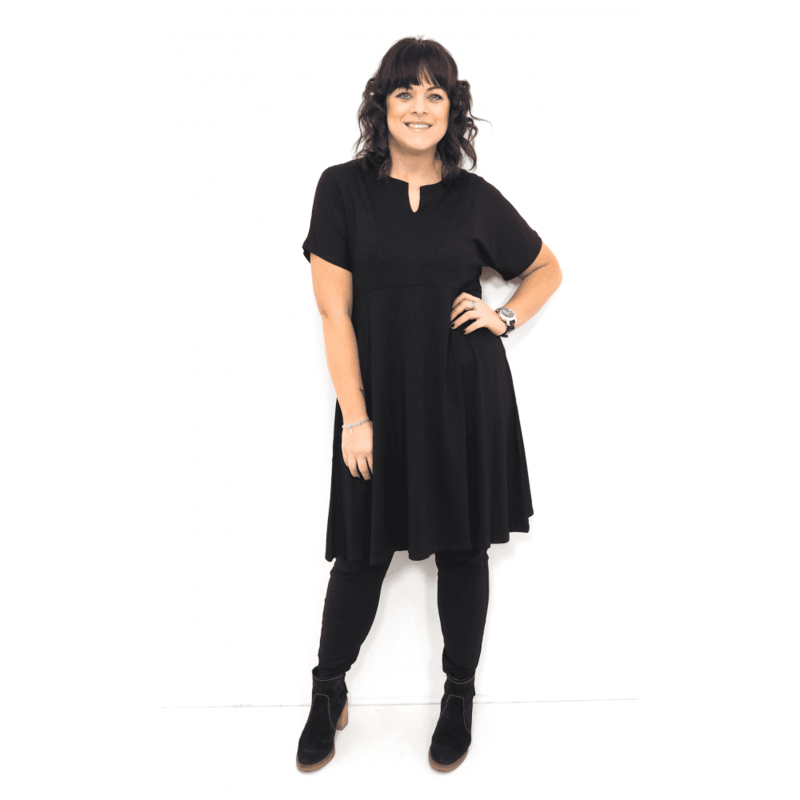 Designed to be both stylish and feminine this flattering loose fit dress is so comfortable to wear! Featuring an open neckline, short sleeves, and under bust stitching for a flattering fit.